It is best to do this project outside or in a basement. 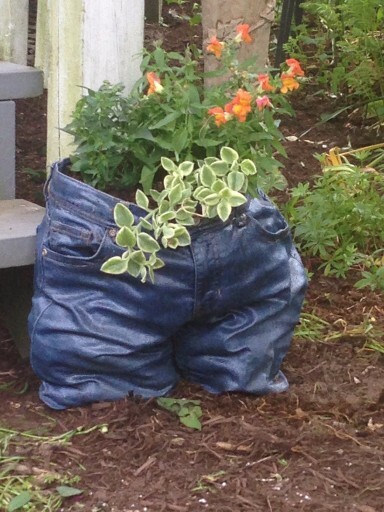 The first step is to find a pair of jeans you want to make into a planter. 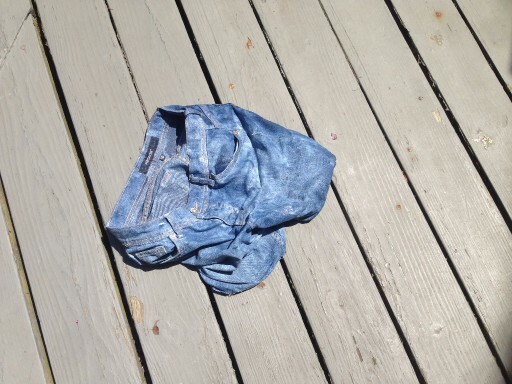 I used a child's size 10 pair of jeans because the size worked. 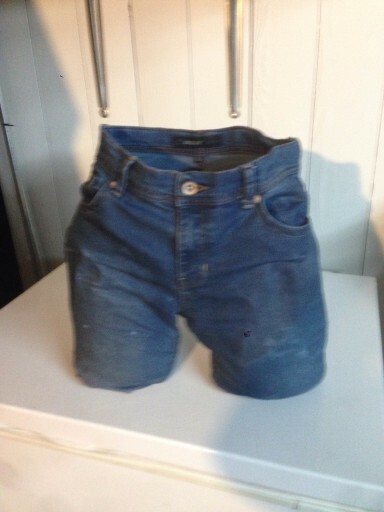 You can use the whole pair of jeans or make them into shorts as I've done. 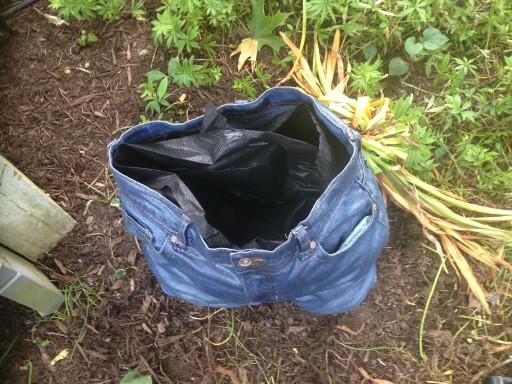 Second step is to put the jeans in the plastic bag (13 Gallon Garbage Bag works perfect) and pour the fabric stiffener on the denim. Using your hands on the outside of the bag work the fabric stiffener into the pants, making sure all of the pants have absorbed the stiffener. Keep adding more as necessary. After the pants are saturated in the stiffener solution, take them out of the bag and form them into the shape you want. I used Gallon Containers filled with water in each of the legs and bubble wrap for the lower body. Make sure they look they way you want your completed project to look. Let them dry for 24 hours or more. Third step is to paint the polyurethane onto the pants both inside and outside. Let them dry for another 24 hours or more. The first time I didn't use polyurethane and this is what happened after a rain! After the bricks are in each leg, you can use landscaping cloth to line the planter or just dump your dirt into the pants up to the waist band. 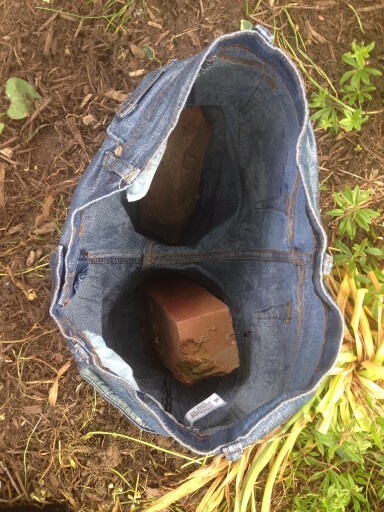 I placed bricks in each leg of the pants to "ground" the planter so it wasn't easily knocked over by people, animals or the wind. At this point, you're ready to plant. Pick your desired flowers, I used the filler, thriller and spiller concept meaning I chose one plant of interest which were the snapdragons (thriller), I used verbena (filler) and then a succulent for the spiller which cascades down for the growth pattern.